The DINE track was specifically designed for restaurants and dining applications, allowing for ideal control of visual comfort. Low-glare lighting and flexibility to make on-site adjustments allows for perfect horizontal or vertical illumination for both high and low ceilings. 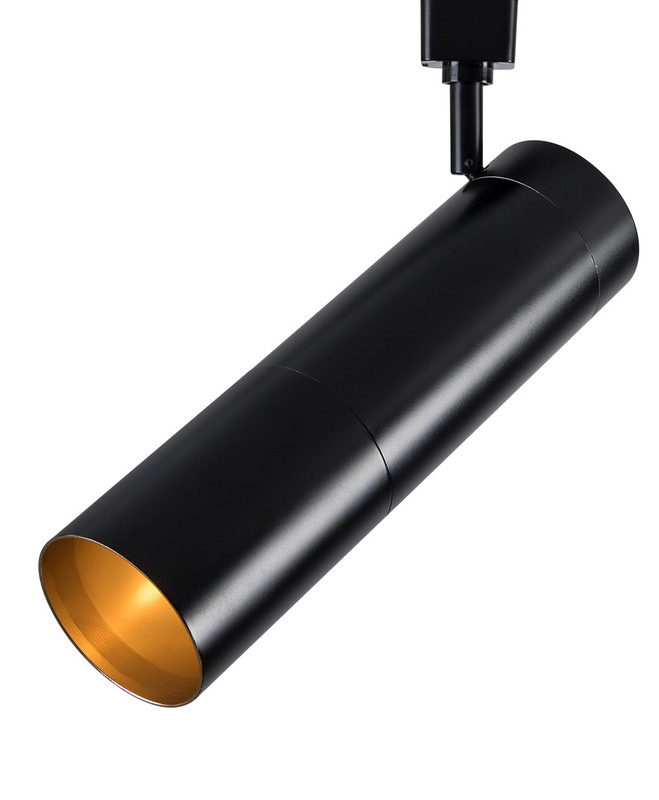 Constructed of aluminum which provides superior strength and rigidity, the body features an aesthetically pleasing smooth cylindrical shape with dual finish color. 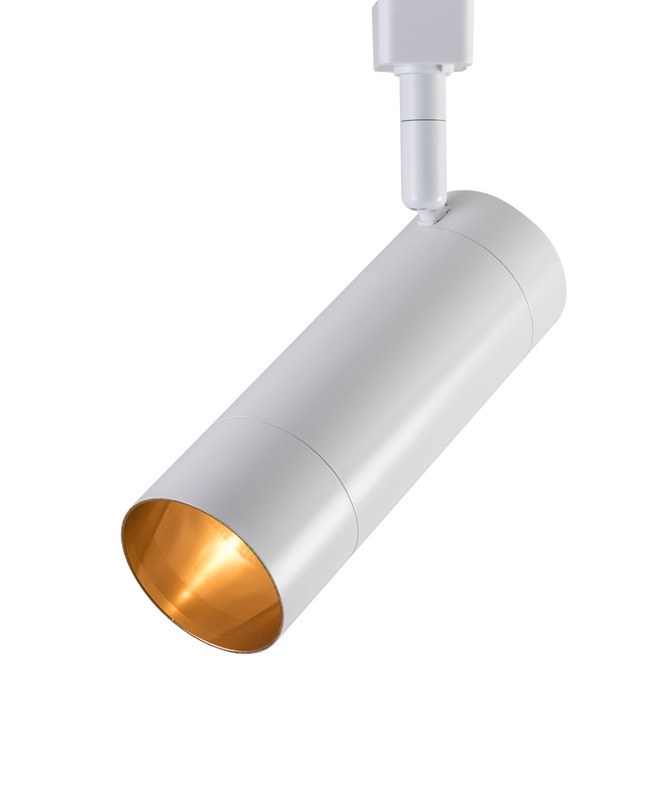 E26 porcelain lamp socket for 120V PAR20 / R20 / PAR16 / A19 lamps, 50W max. 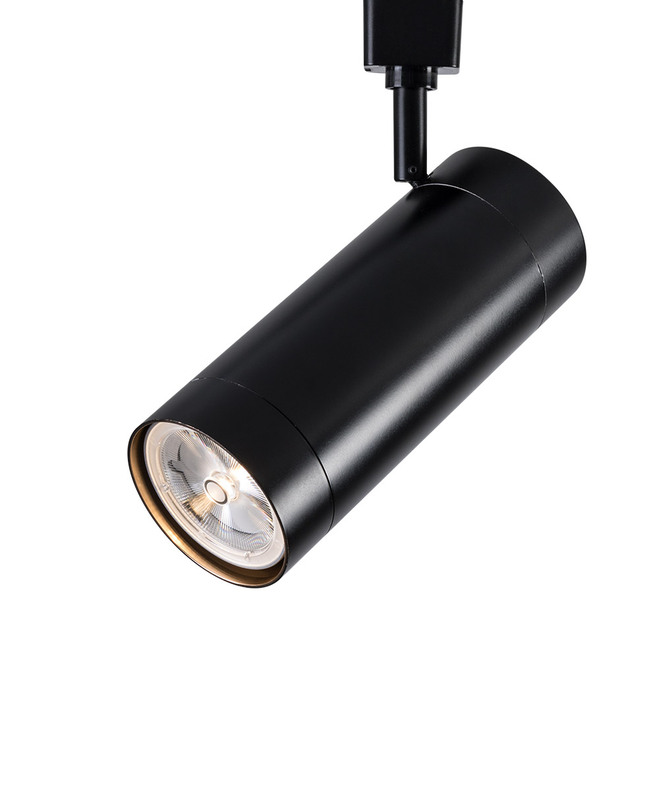 Lamp housing is adjustable for track models, controlled with an adjustable link that provides 90° tilt and 330° rotation. 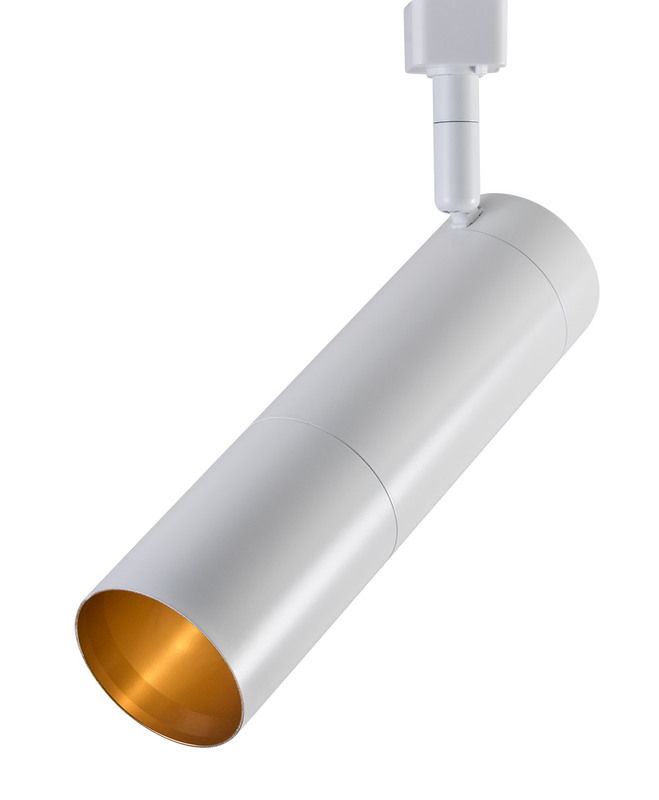 Lamp holder bracket is height adjustable up to 2". The height adjustable screw provides for a variable beam spread angle ranging from 20° to 110°. 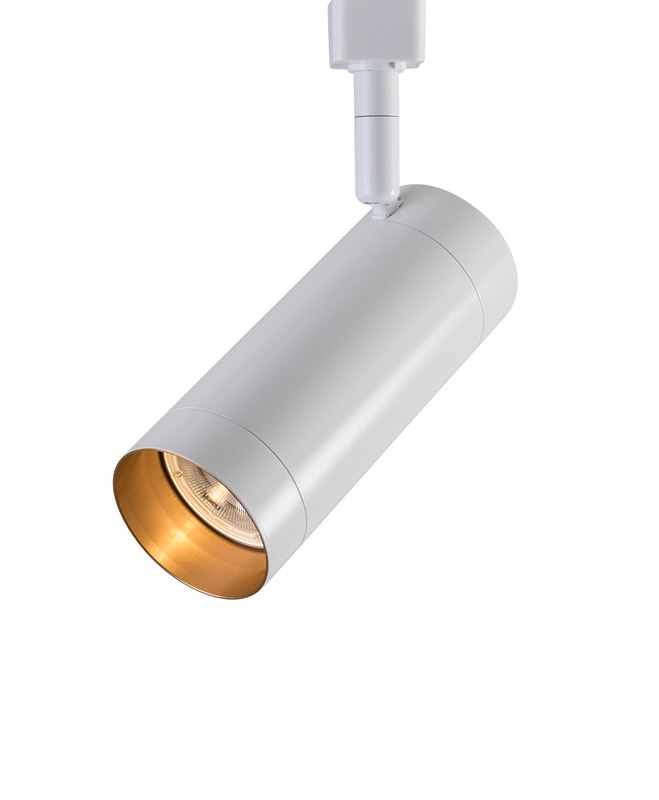 Fixture is dimmable when used with industry standard TRIAC dimming controls and compatible dimmable lamps. 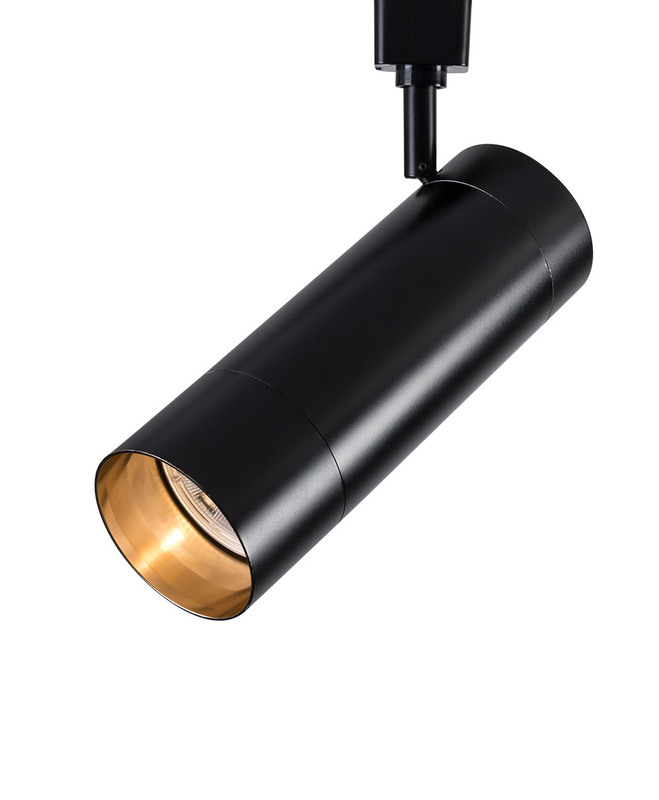 Available in mounting onto 1- and 2-circuit track systems (refer to ordering guide for compatible connectors). Available track connectors for compatibility with A-Line, Global, Halo, Liteline and Ligholier track systems.